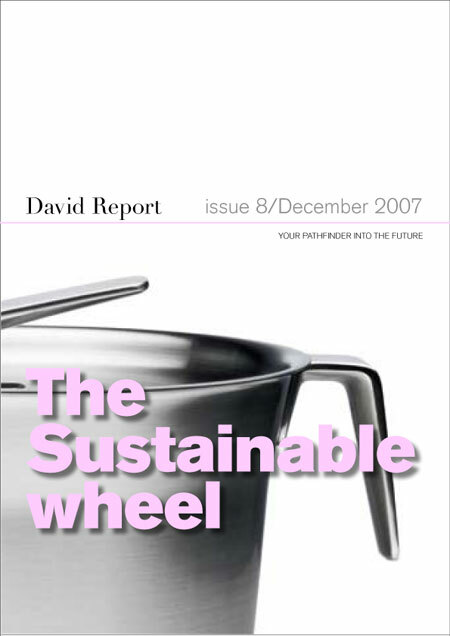 I’m proud to announce the new David Report bulletin called The Sustainable Wheel. It’s important to have a holistic mindset when talking about sustainable design. Quite often ecological matters are overbalanced. In this issue we are describing an imaginary wheel (created by Designboost) which could work as a tool for designers, companies and organisations when defining sustainable design. You will also find an interview with designer researcher Jennifer Leonard. Voila – the SUSTAINABLE WHEEL.